Δελτίο τύπου: «Metalwings is a bulgarian symphonic/gothic metal band formed in Sofia, Bulgaria. 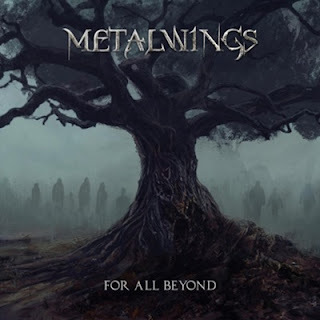 Metalwings was formed in 2010 when vocalist/viola player Stela Atanasova had an idea of a project for band that would play symphonic and melodic rock/metal with opera vocals. The idea combines sounds of female opera vocals, keyboards, electric viola and lots of power in the sound of drums, electric guitar and bass. The band become its real concert life in 2011 in lots of concerts and live shows in Bulgaria. Metalwings is so unique because of its own sound and specific elements in music.